There are some things we cannot possibly Be Prepared for, but we can stand ready to respond when we are called. The pain and loss of the families of Troop 161 is beyond description, and we are all with them during this time, the McMorris family most of all. As Eagle Scouts, we have pledged countless times to help others, and we find ourselves duty-bound to ask for your help for these Scouts now. As we grieve with them today, we also want them to have access to resources they need to provide counsel and continue to be able to lean on each other in the times to come. As we kneel and remember Andrew , so also do we stand with the boys, men, and families who will remember him best. We ask that you join us in supporting them, and that we can help in some way to strengthen the bonds they share to aid them in their journey ahead. 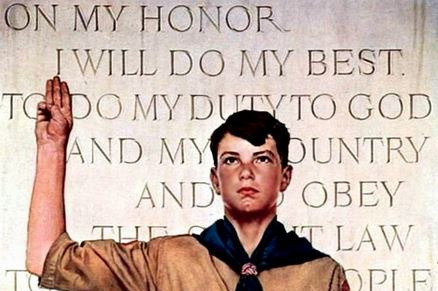 All funds will be distributed to Troop 161 via the Troop Committee for the primary use for any counseling/training needs, with the remainder to be used at the discretion of the Troop Committee for the purpose of expanding or enhancing access to troop activities, and any other Scouting-related charitable needs. All gifts are generous, and humbly appreciated. If you are with an active Troop, please consider including the unit number and town in the comments. We want to take another moment, having received 242 gifts, to thank all for the humbling kindness and love that has been shown for the McMorris family and all those affected in this most difficult of times. Thank you, and may all find peace. A pause again, to say thank you as we have reached 202 gifts. We have received feedback that this support means so much to all those affected, and we are humbled by the kindness so many have showed. Everything that you have done to reach out, share out, lead ribbon campaigns, and just care so much for these families are truly heartwarming gifts. Peace be with all, and thank you. We want to take another moment to recognize having reached 161 gifts. Everyone that sharing their warm thoughts and support means so much to all those affected. Everything that you have done to reach out, share out, and care so much for these families is truly a gift in itself. Peace be with all, and thank you. We want to take a moment at having reached 145 gifts thank everyone for their warm thoughts and support. It means so much to everyone involved to have so many reach out, share out, and care so much for these families. Peace be with all, and thank you.